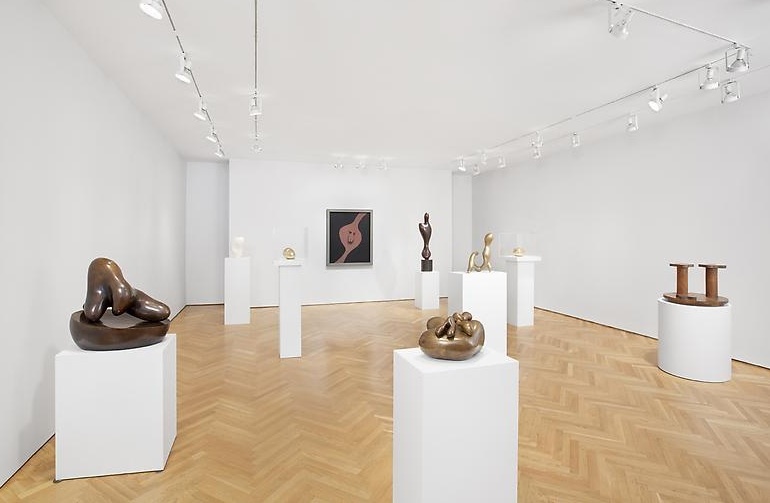 Mitchell-Innes & Nash Gallery recently opened an untitled exhibition showcasing various sculptures by two of the prime examples of modernism and three-dimensional abstraction: Jean Arp and Constantin Brancusi. Considered to be of differing artistic generations, these two artists followed two seemingly diverging paths. However, similar styles and a shared proclivity for “abstracted, somewhat amorphous forms relating to the natural world” (via Mitchell-Innes & Nash Gallery Press Release) have led to a union of the works, offering a fresh perspective. The show features various reliefs painted by Arp, and carvings in wood, bronze and marble by both artists. 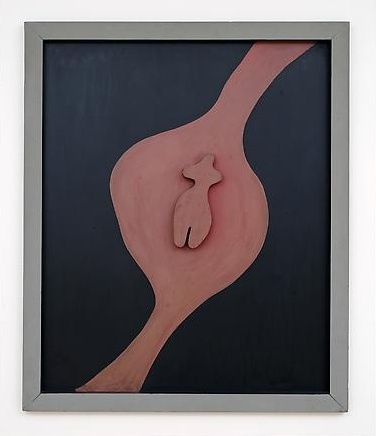 Jean Arp witnessed the inception of various art movements: he was an active member in the Munich based group “Der Blaue Reiter”, founded by Wassily Kandinsky, and would later go on to found both the Cologne Dada group with Max Ernst and Alfred Grünwald in 1916 and the Cabaret Voltaire in Switzerland. Later he would even be associated with the Surrealists, exhibiting work at the first surrealist exhibition at Galerie Pierre in Paris in 1925. 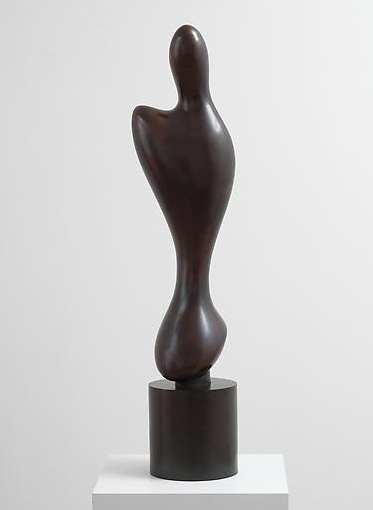 Arp referenced Brancusi as an influence, a sculptor ten years his senior. Brancusi was born in Romania, later moving to Paris to become part of a greater art community. There he worked as an apprentice for Rodin for a brief period before branching out independently in his own new style, which was highly minimalistic and diverged from the representational standards of sculpture at the time. While the works of each artist are seemingly similar, the approach of each in the creation of their sculptures departs in both execution and concept. According to the catalogue essay written in correspondence with this exhibition, “Brancusi sought absolute perfection in his sculpture and revisited the same forms throughout his career while Arp valued spontaneity and his sculptures demonstrate a lively and diverse visual vocabulary.” Brancusi’s work was previously shown in conjunction with work by Donald Judd at the Tate Modern in 2004. This entry was posted on Thursday, April 14th, 2011 at 2:44 am	and is filed under Go See. You can follow any responses to this entry through the RSS 2.0 feed. You can leave a response, or trackback from your own site.